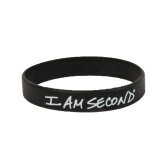 I haven’t heard of I Am Second. I looked it up and loved the purpose, the inclusiveness, and that it has that cutting edge look to it. I like the way the emphasis is on excellence, not perfection. And I like that you did something different in this blog entry. I’m enjoying your writing.